My work is available all year round at a number of galleries, in addition to this listing. Please see About me for details. From February 9th (PV) I shall once again be exhibiting with John Threlfall at the Mc Gill Duncan Gallery in Castle Douglas. The exhibition normally ends at the beginning of April. For more details please see the Mc Gill Duncan Website. My work is available all year round from the McGill Duncan Gallery who always carry a good stock of my prints and who are prepared to post work. At the same time I have a number of works in a small solo at the WWT Centre at Caerlaverock. This finishes on March 9th. From Wednesday the 13th March until approximately April 22nd I’ll be exhibiting with half a dozen other printmakers at the Ottersburn Gallery, Dumfries. Look out for some demonstrations and workshops connected with this exhibition. The Gallery is open Wednesday to Saturday. This spring I’m delivering new work to the Jetty Gallery, Oban, Oliver Contemporary in Wandsworth and the Birdscapes Gallery in North Norfolk. Once again I hope to be welcoming Spring Fling visitors to my studio during the late May Bank Holiday (successful applicants to be announced shortly!). Much of my work will be on display alongside cards and books and I will be talking about and demonstrating my techniques throughout the weekend. 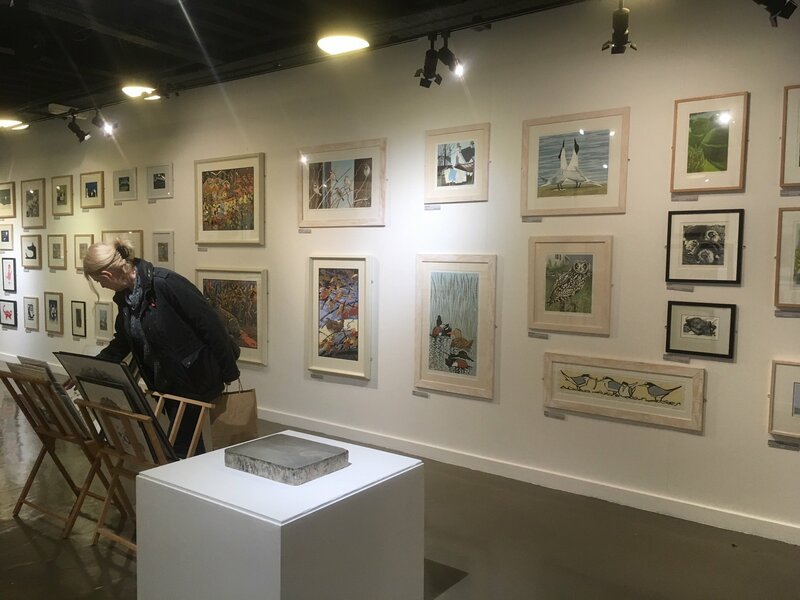 Starting that same weekend in North Norfolk, the Birdscapes Gallery will be showing Printmakers’ Wildlife: an annual exhibition showcasing the best of British wildlife printmaking. I’ll be topping up their stocks in time for this with my new winter work. The British Birdfair: I’ll be exhibiting and demonstrating in the Art Marquee at the Birdfair, Rutland Water (August 16th – 18th). I’ll be exhibiting at the Harbour Cottage Gallery again in Kirkcudbright for a week in October (6th to 12th). Of course you can also visit my gallery at home when we are in: do call to check if you are coming far….